Last week at our Barts-MS Strategy day we heard that a very important, almost essential, business case had been turned down by our senior management team. We were simply asking for a new nursing post to help with our expanding MS service. The reason is that our NHS Trust (Barts Health) is in financial special measures; there are no funds to support any new service developments. This is despite our MS service being very profitable, in fact the most profitable service in our neuroscience cluster. This puts Barts-MS in a very difficult position and we now have to consider how we manage our future commitments to our patients going forward. The financial constraints we are working under in the NHS are the worst in living memory and are putting us under considerable strain. Please see the excerpts below from a Guardian article, about Barts Health NHS Trust, that was published earlier this year. We therefore had a short brain storming session on Thursday and we came to the conclusion that we are going to have to make fundamental changes to how our MS service works. We need to be radical. How do you as someone with MS feel about managing, and monitoring, your own disease and being helped by other people with MS? We propose setting-up a Barts-MS Expert Patient Course during which we will teach you everything you need to know about MS, the management of MS and how to monitor and manage your own disease. We will then provide you with the tools to get on with it. The system we set-up will allow you to contact us if you run into problems and/or need help, for example with a specialist referral. We will hopefully allow you to self-refer for essential services, for example continence advise and therapy. We also will identify expert patients with MS who can help us run the teaching course and our service on a voluntary basis. It is our ambition to run, and coordinate, the largest self-management MS service in the country. To kick-start this we will need some priming money to design, produce materials, run the course and pilot the self-management component of the service. We envisage the need to create an online self-management web app that will incur costs (design and tech input). As we won’t be able to get any funding from our Trust for this new service, we propose running a crowd-funding campaign. To kick-start it we will need something in the order of £6,000-£10,000. Do you think a Barts-MS Self-Management Service is a good idea and do you think we should be raising money for the community to set it up? Desperate times requires outside the box thinking; we need to revolutionise the way we manage MS, and finding that we have been painted into a corner means we have to try something new and radical. Denis Campbell. The Guardian London hospital trust heading for biggest overspend in NHS history. Sunday 7 February 2016 and Last modified on Tuesday 10 May 2016. …. The biggest hospital trust in the country is set to run up a £134.9m deficit this year – by far the largest ever overspend in the history of the NHS. 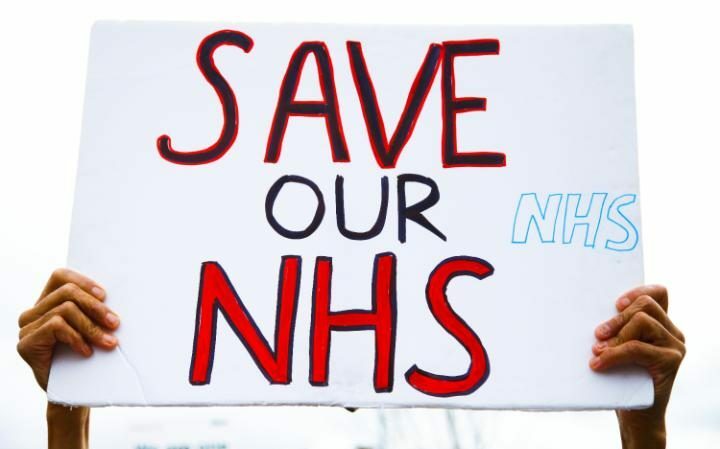 ….. Barts Health NHS Trust, which runs four hospitals in east London, employs 15,000 people and serves an area containing 2.5 million people, is on course to have failed to balance its books by that margin when the NHS financial year ends on 31 March. Its overspend is 69% bigger than the trust’s £79.6m overspend – also a record at the time – in 2014-15. ….. “These forecast deficits provide further evidence of the escalating financial crisis in the NHS, as well as the longstanding challenges facing London’s health system. In the case of Barts, these pressures have been exacerbated by the costs of a major PFI development,” said Prof Chris Ham, chief executive of the independent health thinktank, the King’s Fund. ….. Barts’s deficit may end up even bigger than £134.9m. At its board meeting last week, Chrisha Alagaratnam, the trust’s interim chief financial officer, disclosed that the deficit had already reached £115.6m by the end of November, “which represented a £24.4m adverse position against the financial plan”. That overshoot was due to it having made too few savings, received less income than expected and been fined for missing key NHS targets. ….. The sheer size of the deficits run up in the capital suggested that the £1.8bn of extra funding the NHS in England has been given for next year, which the health secretary, Jeremy Hunt, has earmarked to wipe out collective overspend by trusts may prove inadequate, added Ham. “The extra funding provided by the government is being used mainly to get the NHS back into financial balance but even this must be in doubt given the scale of the deficits now being reported. 2016/17 will be a make-or-break year for the NHS,” he said. …. Alwen Williams, Barts’s chief executive, said that although its deficit was England’s biggest, the trust’s huge size and income meant it was no worse in relative terms than those of other trusts. Barts’s income is about £1.4bn a year, so its overspend represents about 10% of its budget. ….. “Since we are the biggest NHS trust in the country, it is not surprising we are forecasting the largest deficit, although as a proportion of turnover it is comparable to other acute trusts in England,” she said. ….. Reports presented at Barts’s board meeting last week showed that, of the £68m a month it spends on its workforce’s wages, £7m goes on agency staff. The trust has calculated about £30m of the £80m-a-year cost of agency staff is taken up by the premiums the staffing agencies charge. ….. Barts last year was fined £56m by local NHS organisations for failing to treat A&E patients within four hours and those waiting for planned care within 18 weeks. It is thought to be paying out even more in fines this year as pressure on NHS services has led to most trusts missing key targets. …. In all, 18 of London’s 37 NHS Trusts are due to record a collective deficit of £582.3m, Burt disclosed. Senior NHS sources said that the fact that so many trusts cannot balance their books shows the NHS is receiving too little money to cope with rising demand, despite its budget having been ringfenced and growing in real terms. ….. GPs fear that hospitals will continue receiving so much extra cash to tackle their financial problems that their practices will not get the extra money – £2bn a year by 2020 – that Hunt has promised. ….. “The alarming size and scale of the deficits facing London’s hospital trusts means that any of the oft quoted extra money for GPs is unlikely to reach local practices or help improve access for patients. Instead, we will see commissioning bodies diverting funds from primary care to keep the lights on in the capital’s hospitals,” said Dr Michelle Drage, chief executive of Londonwide LMCs (local medical committees). This is a sensible and practical response to an urgent and present danger. And this does not take into consideration the impact of Brexit… a sharp 20% drop in the value of the pound will mean imported medication will get 20% more expensive… or thereabouts. What is needed, though, is also a rethink on the cost practicalities of costly DMTs that under-perform cheaper induction therapies. Cladribine, for instance, against 1st gen DMTs. This conversation needs to be had. Also there needs to be a debate in the NHS about preventable and non preventable diseases. Patients need to be given access to education that enables them to make changes to their own health. Those who are impacted by diseases that have nothing to do with their lifestyle or their livelihoods (such as MS) would be unfairly treated if their treatment was substandard because of, say, the treatment of preventable disease. Obesity, smoking, alcohol abuse…. these are drains on the NHS that need, at some point, to be discussed. And people with MS who are grossly overweight or who smoke need to be told in no uncertain terms that they are a drain on an already stretched system. The self -management course is a great idea. Empower patients to manage their condition may improve well-being. Would they still have their yearly follow-ups from a Neurologist? I have treatment at King’s and also and Occupational Therapist and I manage my condition well. I would be interested in this it sounds great! How about applying for community lottery funding? if have difficulties crowd funding this. The Awards for All England grant is up to ten thousand pounds. The lottery grant is for community activities such as running training courses. You can apply to Awards for All England if you are a community or not-for-profit group, parish or town council, health body, or school. You do not need to be a registered charity to apply. I did not fill in the survey as I am not in the UK. That said, should you move ahead Prof G, MD 1, MD 2 and the rest of the BARTS MS staff we would be proud to help the campaign should you wish. I did fill the survey out as I would be interested in participating as far as practical though I live near Edinburgh. I would like to be of use for "at a distance" aspects. The "Living a healthy life with chronic conditions" courses run by the MS Society, and others, based on the book of that name provide a proof of concept, I think. I am not a patient with Barts NHS trust and have not completed the survery. However, this seems like a very good idea. Expert patient schemes empower patients and sef-management can result in greater health, earlier detection of deterioration and surely reduced feeling of helplessness. It is crazy that NHS trusts are fined so heavily for missing targets – which were missed due to the lack of funds. Where are the fines spent? – I hope they are re-invested in the NHS. It's a bit like sending debtors to debtors prison. It is also crazy to look at absolute values without indexing them to overall trust size and turnover! I'm not a patient at Barts so also haven't completed the survey but I would like to echo other comments that this is a great idea. I would love to be more confident in managing my MS myself and would be very interested in helping others do the same. I've been thinking about the Barts MS Expert Patient Programme and part of the approach could be to have video recordings online, so people UK wide (even possibly world wide)could watch them. You may have discussed this already. Such as videos about falls prevention, fatigue management, pain management, medication management, communication with health care professionals, stress management inc relaxation and mindfulness for example. I'm not a patient with Barts NHS Trust.